So many of my childhood memories involve books and reading. My mother claims she started reading to me when I was an infant, and that I’d stare at the pictures and words like I was entranced by them. I remember nightly bedtime stories, everything from Hansel and Gretel (my favorite because I was fascinated by the dark and creepy, even then), to Little House on the Prairie. Reading was a part of my everyday life. I have memories of grabbing a book and climbing up on my grandfather’s lap. There’re pictures of me as a baby, chewing on the corners of books like simply looking at them wasn’t enough. I had to devour them, too. There are pictures of me on Christmas morning with a brand new book, ignoring the piles of toys around me. 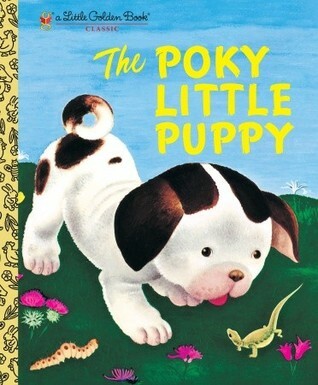 As a child, I had a large collection of Little Golden Books, but the one that stuck with me was The Poky Little Puppy. There’s a photo of me at my 3rd birthday party, hair cut in a late-70’s pageboy style, proudly holding up that book to show the camera. I loved that story, that poky little puppy. I loved the smell and feel and sight of those crisp pages, even before I knew how to read the words on them. When I was about six or seven, my parents signed me up for a mail order book club. Each month I’d get two new books in the mail. Mostly, they were the wonderful stories of Frank Asch. I’d come home from school for lunch and get so excited about the books, I didn’t want to go back to school. I just wanted to read. Even then, I preferred reading to pretty much anything. This is something that hasn’t changed in all my 39 years. Books have been, and always will be, my closest friends. I grew up in a small town, with a tiny library that I practically lived in. The book selection there was so limited, I managed to read the entire children’s collection in the span of a few months. Then I started all over again. To me, books represented safety and comfort, something I could count on. They were always there for me. My obsession with words only deepened as I got older, especially when I discovered Judy Blume. My cousin had left behind a copy of Are You There God? It’s Me, Margaret at my grandparents’ house one day. I was 11 or 12, the same age as Margaret. I picked it up, cracked open the cover, and that was it. When it came time to go home, I didn’t want to leave. 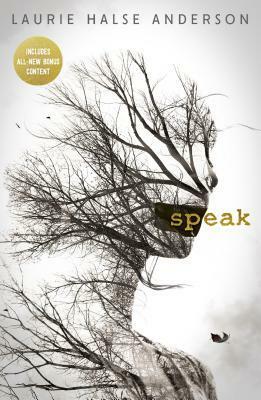 I had to finish this book. Luckily, my cousin didn’t want it anymore and I was allowed to take it home with me. I spent an entire sunny weekend afternoon in Margaret’s head and enjoyed every second. She spoke to me. I could relate to her. After that, I devoured every middle grade book Judy Blume has ever written. Margaret got me through puberty. Deenie taught me about dealing with obstacles. Blubber made me more aware of how I treated others. It’s Not the End of the World and Just As Long As We’re Together helped me get through my parents’ separation. Tiger Eyes taught me about moving on. Judy Blume is by far my biggest influence as a writer. I recently re-read some of her books and there’s something so special about them. They transport me right back to my gawky pre-teen years. Almost three decades later, they still speak to me. The stories I loved as a child not only shaped my writing career, they also shaped me. Today, I’m just as excited about books as I was in 1979, the day I ripped off the birthday wrapping paper and saw that poky little puppy inside, just waiting for me to get lost in his world. Rebecca Phillips is the author of the Just You series, Out of Nowhere, Faking Perfect (Kensington), and Any Other Girl (January 26, Kensington). She lives just outside the beautiful city of Halifax, Nova Scotia, with her husband, two children, and one spoiled rotten cat. She absolutely loves living so close to the ocean.